erin monét cooper is a high school teacher and a writer in Washington, DC. 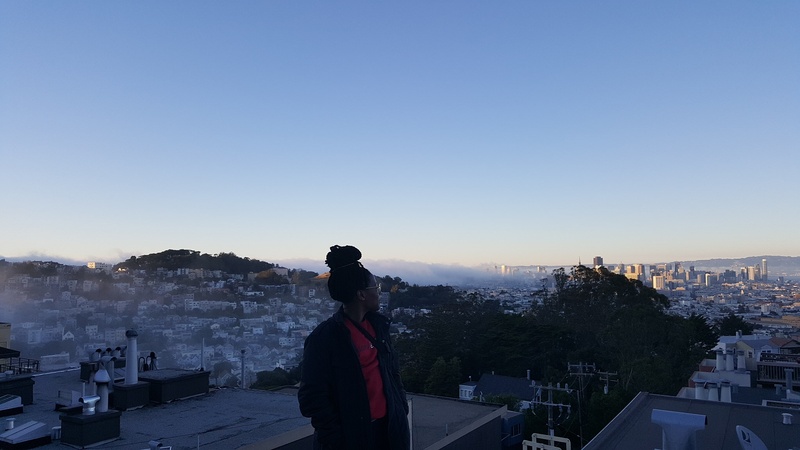 teaching | monét is a Stanford University Hollyhock Fellow in teaching, which is a two-year fellowship that allows high school teachers to grow their practice through intensive summer professional development and coaching during the school year. In addition, she is a Teachers for Global Classrooms Fellow, which allows for a year-long study of global education, including time spent studying education in a country outside of the U.S. She is a Fund for Teachers fellow, which allowed her to travel to El Salvador and the Dominican Republic to listen to the migration stories of the people who stay behind instead of leaving for the U.S. At Capital City, monét is involved in work around equity and race in education. writing | monét’s writing discusses history, memory, family and whatever she wants. She is the recipient of a summer award from the National Endowment for the Humanities Summer Seminar, acceptance to the Bread Loaf Writers’ Conference as a general contributor, has twice served as a judge for the youth division of the Larry Neal Writers’ Awards, and is a two-time VONA/Voices residence in the poetry workshop. You can currently find her poems in Dismantle, an anthology from the VONA workshop writers.